Made with all natural unrefined oils. All hand made with the finest ingredients. Made with pure goats milk. Colored with all natural colorants, like Australian clay and mica's. 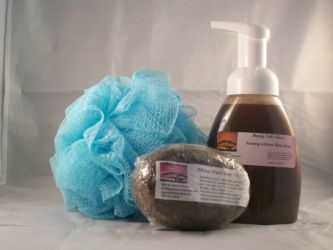 A natural alternative to commercial soaps. All of my goats are healthy, happy and well cared for. No goats were hurt making this product. 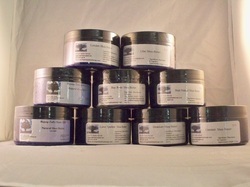 Our products were not tested on any animals nor were ANY animals harmed in making of our personal products. 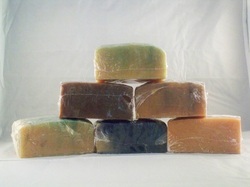 These soaps are all handmade, using the finest ingredients. 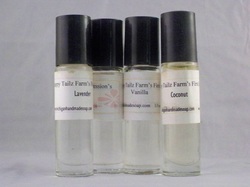 Our scents are always changing. Check back often to see what new products we may have added. As with any handmade products each batch will vary in color and or size, although we strive to make a uniform bar. Our dog shampoo bar is handmade with olive, coconut, palm, sunflower, and castor oils along with lard, which contributes to the terrific coat conditioning effects of the bar, and no coloring added leaving your dog's coat soft and shiny. 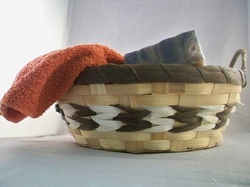 We lightly scent our dog soap with essential oils that discourages skin problems or any winged or creepy crawly creatures from visiting too long in the fur. Our Gifts are great for wedding / baby shower gifts or whatever you would like. Some ideas for our gift baskets, boxes and bags are Mothers or Grandmothers Day, Fathers Day, Sweetest Day, Valentines Day, Secret Santa's, Secret Angels, Secret Pals, get well gift, or just to show you care and are thinking about someone.Our styles are constantly changing.